Only Sportsgear Weight Lifting Bodybuilding Workout Hand Grip Liquid Chalk 250ml. 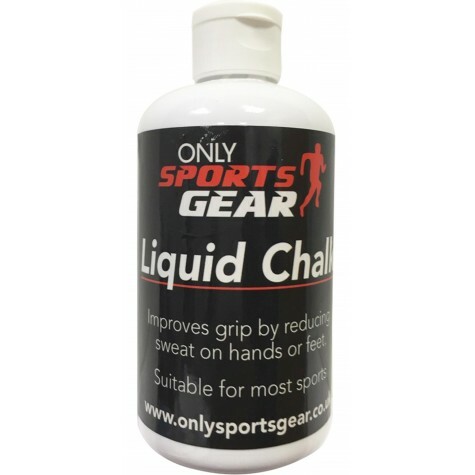 Improves grip by reducing sweat on hands or feet. Shake bottle before use. Replace lid to prevent contents from drying, Spread on skin evenly and allow to dry, do not use if there is any adverse reaction. Do not swallow, use warm sopy water to wash off and then moisturise the skin.. Composition: Magesium carbonate grip enhancer, alcohol, thickener & some scent.